Update 2016-04-23: If you’re looking for your Far Cry 4 fix after Far Cry 4 Enhanced stopped working with version 1.10 then you’re in luck! Far Cry 4 Open World Mod, as far as I can tell, has almost everything good about Enhanced except increased difficulty. I really, really wish it did have that but pickers can’t be choosers. At least it comes with an additional version that removes some helper things like seeing enemies through walls, seeing enemies on the minimap, and removing laser beams from sniper rifles. Since Enhanced no longer works, Open World Mod is the next best thing! Update 2015-09-05: I’ve been thinking about replaying Far Cry 4 lately after having finished the game a few weeks ago. The world is just so rich and beautiful that I wish I could go back in and experience it all over again, but I feel that I’ve already seen and done the vast majority of it. 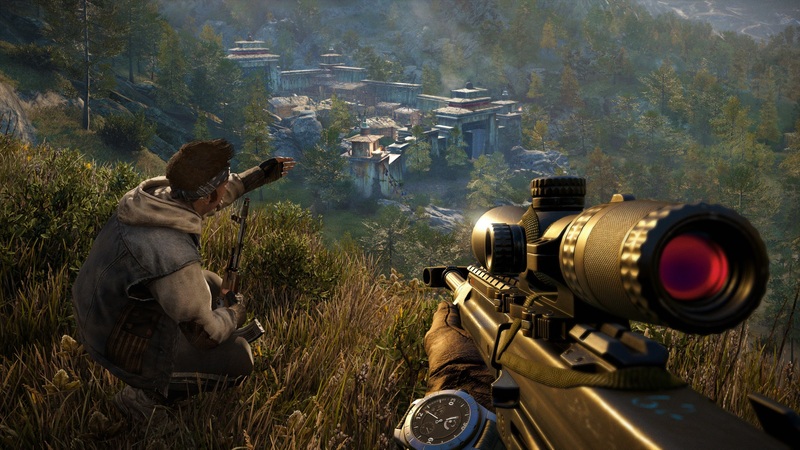 I googled around for replaying and came across some decent posts, like 5 Cool Things to do After Beating Far Cry 4 and Looking back: why it’s time to return to Far Cry 2. The second article is an interesting comparison against Far Cry 2 and where the author feels we’re really lacking with 3 and 4. I tend to agree. FC2 had its problems but it got some of the more important things right. By the way, I still absolutely recommend Far Cry 4 Enhanced, a great modification allows you to play the game at a much more visceral level to get the most out of the experience. If you’ve played through Far Cry 4 once without this mod you’ll have a great time playing through again with the mod. Update 2015-09-05 (2): Added Replay section. I’ve just finished Far Cry 4 and, I have to say, while Ubisoft has done a lot to hurt its reputation in the past few years, the Far Cry series are consistent better-than-expected entries in their portfolio. I’ll say here and now that Far Cry 2, 3, and 4 are the best exploration games you can play these days. While games like Skyrim or Witcher offer massive worlds, they tend to have that RPG-style, clunky, tick-tock-based combat that really brakes the fluidity of the game. It’s a pleasure to play in a massive world like Far Cry offers with all the fluidity of a real-time FPS.